Looking at some of the genes involved in lupus. Systemic lupus erythematosus, more commonly referred to as lupus, is a complex autoimmune disease that can affect many different organs of the body. Some of the more common symptoms include fatigue, joint pain, a butterfly-shaped rash on the face, photosensitivity, headaches, and more. It is thought to have both genetic and environmental components. No one gene seems to cause lupus, but quite a few polymorphisms offer a slightly increased risk for the disease. The Lupus Foundation of America estimates that 1.5 million people in the U.S. have lupus. It affects mainly women of childbearing age, although men and children can get lupus as well. The Lupus Foundation website has lots of information and resources. Below is just a partial list of genes that have been studied in reference to lupus. The ones that I’ve included are on the 23andMe v.4 chip. If you have lupus, my hope is that this list can help you start to research and understand your condition. If you don’t have lupus, even with the polymorphisms listed below, your odds of getting the disease is still very small. The Cleveland Clinic estimates the risk for women to be 1 in 400 if you don’t have a close relative with lupus. For the rs2187668 snp, the T allele (23andMe, plus orientation) codes for HLA-DRB1*0301. A 2007 study gives an OR=2.3 for HLA-DRB1*0301 in regards to lupus. [ref] This is one of the most studied genetic risk factors for lupus, and a search on pubmed will give you more information on it. rs1800629 (risk allele is A) the A allele is associated with higher TNF expression. In studies this polymorphisms is sometimes referred to a -308 G/A. Some studies have linked the A/A genotype to higher risk of lupus, while others have found little connection. This may be a polymorphisms in which the risk is dependent on ethnicity. Studies which found this to be a significant risk include a Columbian population study [ref], and a meta-analysis. The meta-analysis found that the risk allele (A) was associated with European populations but not Asian or African [ref]. A 2014 article in the Journal of Immunology offers an in-depth discussion of the role of interferon in lupus. B lymphoid tyrosine kinase is an enzyme encoded by the BLK gene. 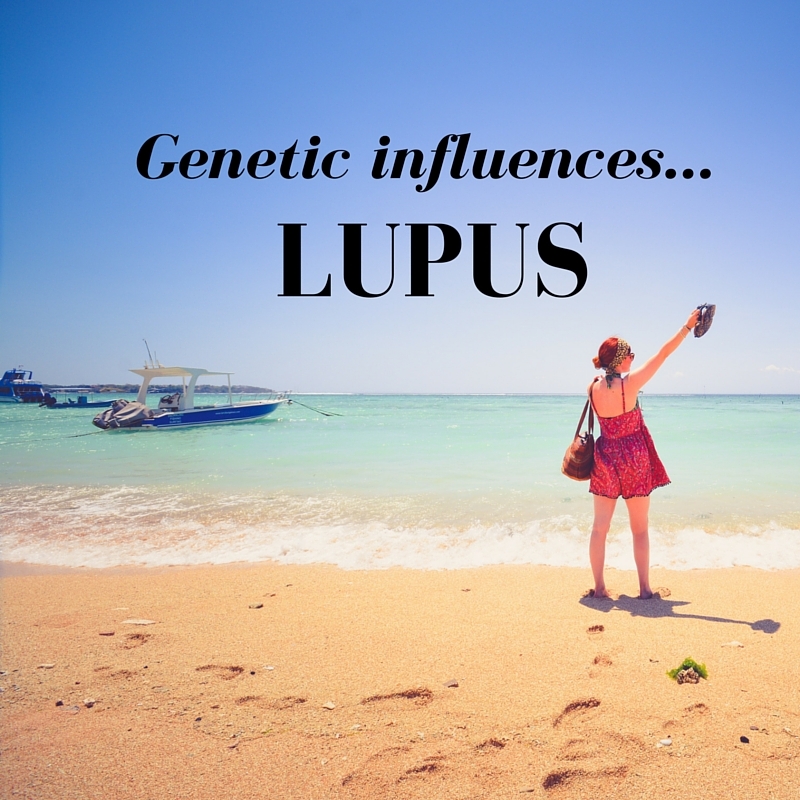 Several studies have tied polymorphisms in this gene to lupus. It is defined as “The protein has a role in B-cell receptor signaling and B-cell development. The protein also stimulates insulin synthesis and secretion in response to glucose and enhances the expression of several pancreatic beta-cell transcription factors.” [ref] “The Role of B Cells in Lupus Pathogenesis” explains in great detail how B-cells are involved in lupus.